Fluvastatin is used along with a proper diet to help lower "bad" cholesterol and fats (such as LDL, triglycerides) and raise "good" cholesterol (HDL) in the blood. It belongs to a group of drugs known as "statins." It works by reducing the amount of cholesterol made by the liver. Lowering "bad" cholesterol and triglycerides and raising "good" cholesterol decreases the risk of heart disease and helps prevent strokes and heart attacks. Read the Patient Information Leaflet if available from your pharmacist before you start taking fluvastatin and each time you get a refill. If you have any questions, ask your doctor or pharmacist. Take this medication by mouth with or without food as directed by your doctor, usually once daily in the evening. Some patients may be directed to take this medication twice daily. Do not open the capsules. If you also take certain other drugs to lower your cholesterol (bile acid-binding resins such as cholestyramine or colestipol), take fluvastatin at least 1 hour before or at least 4 hours after taking these medications. These products can react with fluvastatin, preventing its full absorption. Take this medication regularly in order to get the most benefit from it. Remember to take it at the same time(s) each day. It is important to continue taking this medication even if you feel well. Most people with high cholesterol or triglycerides do not feel sick. What conditions does Fluvastatin SODIUM treat? Stomach upset may occur. If this effect persists or worsens, tell your doctor or pharmacist promptly. A very small number of people taking fluvastatin may have mild memory problems or confusion. If these rare effects occur, talk to your doctor. This drug may rarely cause muscle problems (which can rarely lead to very serious conditions called rhabdomyolysis and autoimmune myopathy). Tell your doctor right away if you develop any of these symptoms during treatment and if these symptoms persist after your doctor stops this drug: muscle pain/tenderness/weakness (especially with fever or unusual tiredness), signs of kidney problems (such as change in the amount of urine). This medication may rarely cause liver problems. If you notice any of the following rare but serious side effects, tell your doctor right away: yellowing eyes/skin, dark urine, severe stomach/abdominal pain, persistent nausea/vomiting. List Fluvastatin SODIUM side effects by likelihood and severity. Before taking fluvastatin, tell your doctor or pharmacist if you are allergic to it; or if you have any other allergies. This product may contain inactive ingredients, which can cause allergic reactions or other problems. Talk to your pharmacist for more details. Before using this medication, tell your doctor or pharmacist your medical history, especially of: liver disease, kidney disease, alcohol use. Limit alcoholic beverages. Daily use of alcohol may increase your risk for liver problems, especially when combined with fluvastatin. Ask your doctor or pharmacist for more information. This medication must not be used during pregnancy. Fluvastatin may harm an unborn baby. Therefore, it is important to prevent pregnancy while taking this medication. Consult your doctor for more details and to discuss the use of reliable forms of birth control (such as condoms, birth control pills) while taking this medication. If you become pregnant or think you may be pregnant, tell your doctor right away. What should I know regarding pregnancy, nursing and administering Fluvastatin SODIUM to children or the elderly? Some products that may interact with this drug include: colchicine, gemfibrozil, phenytoin. Do not take any red yeast rice products while you are taking fluvastatin because some red yeast rice products may also contain a statin called lovastatin. Taking fluvastatin and red yeast rice products together can increase your risk of serious muscle and liver problems. Does Fluvastatin SODIUM interact with other medications? Store at room temperature at 77 degrees F (25 degrees C) away from light and moisture. Brief storage between 59 and 86 degrees F (15 to 30 degrees C) is permitted. Do not store in the bathroom. Keep all medicines away from children and pets. 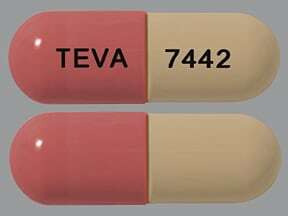 This medicine is a pink ivory, oblong, capsule imprinted with "TEVA" and "7442". 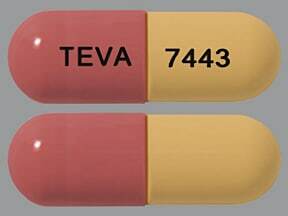 This medicine is a pink yellow, oblong, capsule imprinted with "TEVA" and "7443". 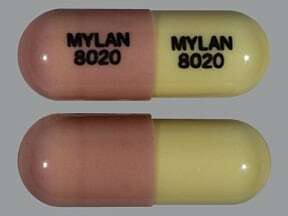 This medicine is a pink ivory, oblong, capsule imprinted with "MYLAN 8020" and "MYLAN 8020". 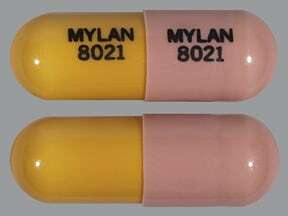 This medicine is a pink orange, oblong, capsule imprinted with "MYLAN 8021" and "MYLAN 8021". Are you taking Fluvastatin SODIUM? Are you considering switching to Fluvastatin SODIUM? How long have you been taking Fluvastatin SODIUM?